Here at Full Circle Garden Design, we offer design solutions that establish a harmonious relationship with the surrounding architecture and landscape; to create individual gardens of consistent beauty and integrity. Whether you’re looking for landscaping for your garden at home or need our services for a commercial site, our experienced and friendly team are here to help. Established in 2002, Full Circle was originally born from a university project and was soon transformed into a successful company. Owner Lindsay turned her passion into a family business and today, it is managed by herself, her husband Paul and her children. The service promised is friendly, efficient and personable, with a big focus on customer satisfaction. And customers will benefit from an uncomplicated and seamless journey, from design inspiration through to the final construction. All products used are sustainable and eco-friendly, and we aim to handle only natural materials where possible. Not only is our business built on an incredible passion for functional, beautiful outdoor design and a love for our natural environment, but we also bring a wealth of experience to every project. Our success at the RHS Chelsea Flower Show and our awards make us the leading choice for garden design anywhere in the Yorkshire area. And we make it our mission to turn a customer’s exact vision and desires into reality. The design we sketch is the design you’ll get – so you can be confident about what is going to be delivered at the end of the process. 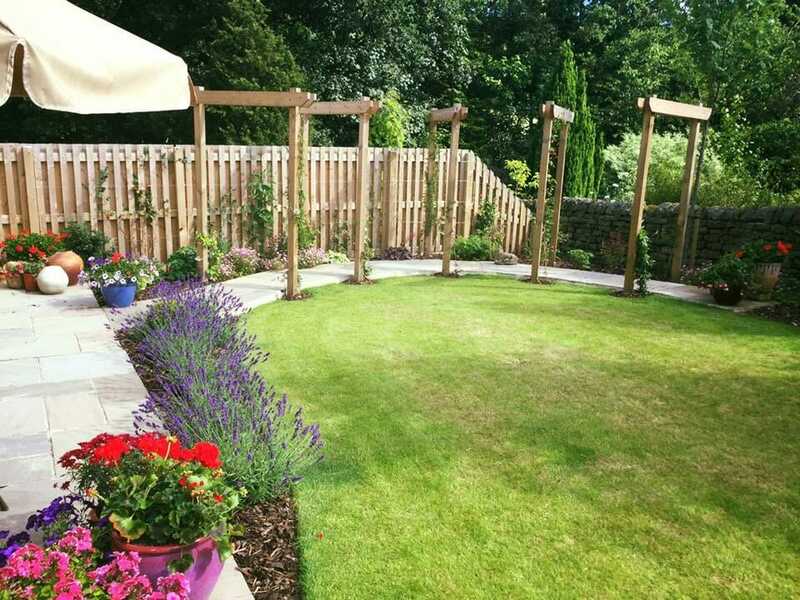 Currently we offer a range of garden design services to domestic, corporate and commercial customers in Leeds and Yorkshire. Occasionally, our team can also work on weddings and event venues. To find out more, please do not hesitate to contact Lindsay or Paul – we’re happy to help! It has been my pleasure to work with the Full Circle Design and Construction on major landscape projects. First rate designs and team. Really nice people as well as it happens. Richard Clegg dry stone walling. Full Circle are a superb company. Their designs are beautiful and innovative. And their customer service is peerless. They will keep you informed of every step and deliver a finished result with which you can be truly happy. You only have to look at the photos on their website to see why they deserve the award winning status they have earned. Thank you Lindsay and Paul.